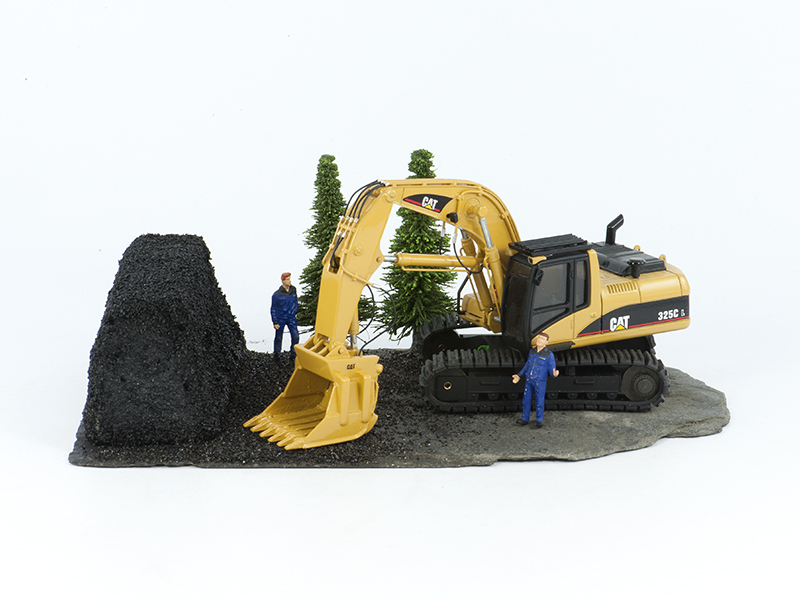 The Caterpillar 325C Coal Shovel in 1:50th scale is a custom made model. In this custom project Gertjan Veld used the Caterpillar 325C Hydraulic Excavator which was originally released by NZG in 2002 with #515. For the conversion he used Coal Shovel kit GB-23 which was released in 2012 by Gaz Evans the man behind GEM Models. Gaz Evans then also produced only 10 Caterpillar 320D Coal Shovel models with #GF-01 by using the Norscot Caterpillar 320D. 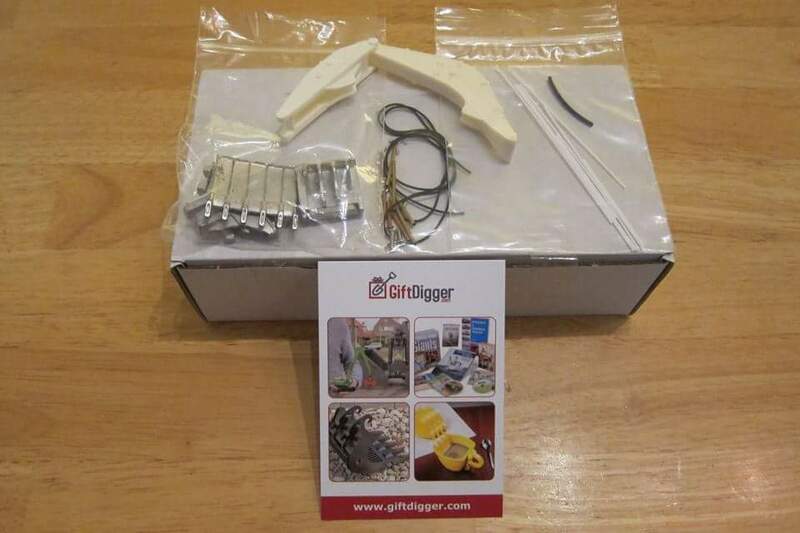 Summer 2015, during the NAMAC swapmeeting in Houten, The Netherlands I found the very rare Caterpillar Coal Shovel kit in the booth run by GiftDigger and of course I could not walk by without buying it. 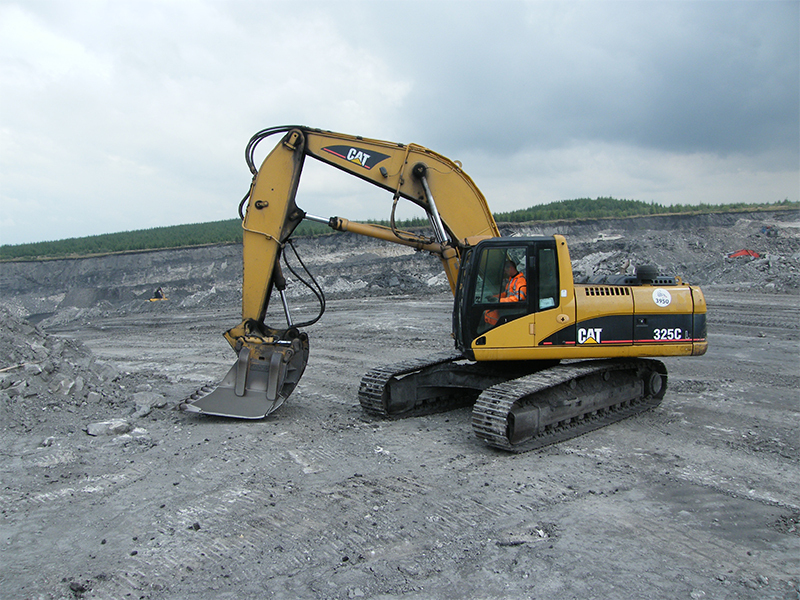 After some research I did discovered that the actual machines in 1:1 which operate in England are actually Caterpillar 325C, 325D or 329D Hydraulic Excavators and therefore Gertjan decided to custom built the Caterpillar 325C Coal Shovel version. The boom and Coal shovel dipper are custom developed. The shovel features authentic movement of the bucket with raised piping on the boom and dipper. The kit is supplied with pins, decals and a pair of hydraulics for the boom. Hydraulic cylinders from the base model are needed to complete the conversion. Gertjan leefde zich vervolgens helemaal uit op dit project en voegde natuurlijk stiekem weer de nodige extra details toe: brandblusser, opstapje voor de machinist, nieuwe uitlaat, trekoog en als klap op de vuurpijl werd het model geplaatst op een mini diorama compleet met echt kolenstof. WOW! Het wordt tijd dat u de meer dan dertig foto's gaat bekijken! If you missed this one there might be a another change for you: Gaz Evans told me he is having plans to make a new limited run of Coal Shovel kits because all of the positive reactions he receives now my custom built model from is finished. I think that a BIG compliment towards Gertjan! The products; boom kits and Work Tool equipment made by GEM Models for your Hydraulic Excavators in 1:50th scale are for some time on the market and are known for their faithful reproduction, functionality and outstanding value for money and now are exclusively for the Netherlands, Belgium and Germany offered through www.GiftDigger.com.